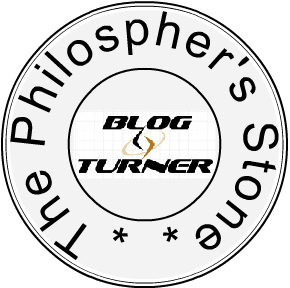 Here is one of the first of “Blog Turner”. For many of you Chinese whispers is a game. A game which shows a distinct side to narrations passed on from one human to another. Like you Ayush Chauhan also became intrigued by this game and decided to put up a small experiment involving a story, a narration. He decided to involve people to narrate a story. Simple. Ahhh not so, the story was to be told like a relay race, with each part announcing the onset of the passing on of baton. Scared? They were also before embarking on this. Why not try reading at least? Find out more Whispering A Secret. This is a regular prompt for this blog. And so this one will be surely featured around here. Its very simple, each week they put up a new prompt and that too on a Wednesday. This blog almost always tries to participate. Well this week the prompt is Free to Create. Sugandha is following a wonderful project where she is going to review thirty books in thirty days. Its something that is a great initiative and she is also inviting guest posts. So what are you waiting for, go check this one out at 30 days 30 books! This is a weekly prompt, which again features on this blog a lot. This is announced each Tuesday and yes the prompts are always very innovative! This week’s prompt is Sepia Tones Go read some interesting entries or better participate! At Hundred works, there is another project ongoing. They are collecting your superhero stories and getting you prizes for it. Yes its a contest! And there are no losers, each entry gets something! Go go go, find out more at Project Heroes. Come 1st of September, we have a week long festival of blogging on at the write tribe site. No prompts nothing. Just plain simple seven days of blogging and of course reading. This one will be a great way to connect with people and also channelise one’s own writing on individual blogs. What are you waiting for go get yourself registered at Festival of Words. And this week we found a blogpost which struck us as worth being shared here. Perhaps you might like to read too. The post is here: The Prisoner and the Monk by Tomicha Matheikal. He has recreated an excerpt from the book Dalai Lama’s cat. It comes at the right time on Independence Day. The message embedded is a great landmark for the consumerism gripped Indian society. Thanks Maggie and well you can join the awesomeness perhaps participate in a few!! Fantastic idea, Richa. You rock, girl!